Day 1 - Our journey begins on the morning Eurostar from St Pancras International to Paris, travelling in Standard Premier Class. We join the high-speed TGV from Paris directly to Figueres in Spain. From Figueres we make the short transfer by coach to the town of Roses, located at the north-eastern end of the Costa Brava, a wild and rocky stretch of the Spanish coastline. The exact translation of 'Costa Brava' will differ depending on which guidebook you read, but whether it is 'wild coast', 'fierce coast', 'rugged coast' or even 'savage coast', it is a coastline of outstanding natural beauty, where steep cliffs have been eroded by the sea, creating numerous hidden bays and tiny coves. Set within the beautiful Bay of Roses, Roses is an authentic Spanish fishing port which oozes charm and style. Running south from Roses is an almost endless stretch of fine sandy beach, set invitingly against a backdrop of the distant Pyrenean mountain peaks. We spend nine nights at the superb 4-star Almadraba Park Hotel, located on a small, sandy cove approximately three kilometres from the centre of Roses. The hotel offer a complimentary shuttle service into the centre of Roses, which allows you to enjoy the best of both worlds: the peace and quiet of the hotel's private, secluded location, together with the freedom and flexibility to visit the centre of Roses whenever you choose. The hotel's superb facilities are complemented by its excellent restaurant, which offers a wide choice of meals from its daily menu of local dishes. We enjoy dinner in the hotel every evening, served with an included glass of wine. Day 2 - Your day is free for you to relax in Roses. Spend your day enjoying the local climate and sunshine on the beach or with a drink in one of the cafés on the promenade, overlooking the Mediterranean. Alternatively, enjoy a walk out of the bay to discover rocky coves and secluded shingle beaches that are only reachable on foot or by boat. Day 3 & 4 - This morning we begin our exploration of the Costa Brava on an excursion by boat around the shoreline. We board the boat at Roses' small port, sailing along a stretch of the incredibly beautiful Cap de Creus National Park, past towering cliffs and countless mini bays, accessible only by boat and protected from overland access by thick, deep forests which cover the cliff tops and reach up high into the mountains. Our boat takes us into the small port at the very heart of Cadaques. Set in its own crystal-clear bay, Cadaques is a picturesque fishing village of delightful whitewashed houses, which was the inspiration for much of Salvador Dalí's work. The famous painter visited Cadaques many times during his childhood and later kept a house and studio just outside the village, which became a popular bohemian retreat for many of the 20th century's most famous artists, who lived here alongside the local fishing community. Dalí and Picasso were known to have been particularly inspired by the incredible light and colour on display in Cadaques. You have some time to explore the village at leisure, before returning to Roses in time to arrange lunch - you could enjoy mouth-watering tapas, savouring some of the delicious, incredibly fresh seafood on offer. On Day 4 you have another free day to enjoy in Roses, spending your time as you wish in this beautiful coastal town. 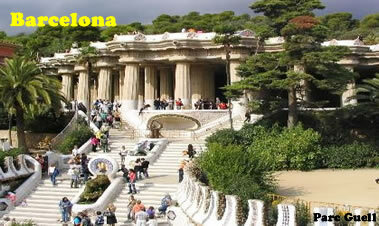 Day 5 & 6 - Today we travel by coach to the magnificent city of Barcelona. We begin at the fantastic Sagrada Familia, Antoni Gaudí's unfinished masterpiece, before enjoying a panoramic city tour which takes us past many of the main sights and along the bustling Las Ramblas, a wonderful tree-lined boulevard which is regarded as the beating heart of the city, running through the centre from the Plaza de Catalunya to the waterfront. Las Ramblas is packed with interesting shops and pavement cafés, while street performers keep the crowds entertained. This afternoon you are free to explore at your leisure. Perhaps take a walk through the Gothic quarter (Barri Gotic), or discover bustling Port Vell, literally 'Old Harbour'. You could visit the Picasso Museum, housing a collection of the renowned artist's finest work, or wander down Las Ramblas soaking up the bustling atmosphere. Alternatively, explore Gaudí's distinctive architecture, dotted around the city, and visit Casa Batlló, one of the most unique houses in Barcelona. On Day 6 you are free to spend the day exploring the region surrounding Roses or enjoying the superb hotel facilities. You could take a trip to nearby Girona, a captivating city with Iberian, Roman, Moorish and Jewish influences in its culture and architecture. Day 7 - We travel to Figueres today, visiting the fascinating Salvador Dalí Foundation (entrance included). The foundation manages various collections of Dalí's work, encompassing drawings, sculptures, jewellery, photography and paintings from all the different periods of Dalí's life. Much of the work is permanently exhibited in the Dalí Theatre-Museum - the largest surrealist object in the world, which was built on the ruins of a former Municipal Theatre, destroyed at the end of the civil war. Dalí himself chose to build the museum on the ruins. After time to appreciate the incredible and diverse works of the famous surrealist at leisure and in your own time - Dalí intended for his work to be experienced in this way - you are free to continue exploring the city of Figueres. We then visit the historic town of Besalu - a rather grand old town dominated by its magnificent 11th century fortified bridge. Day 8 9 - The final two days of the holiday are free for you to spend at leisure on the Costa Brava, giving you the opportunity to relax and enjoy the warm weather and wonderful hotel facilities. You could spend time relaxing by the pool, or wander into the centre of Roses to soak up the atmosphere or enjoy some shopping. Day 10 - Today we leave Roses, transferring by coach to Figueres for the high speed TGV service to Paris, where we board the Eurostar to St Pancras in London. SOLD OUT 2018 COMING SOON! Almadraba Park Hotel, Roses - The superb 4-Star Almadraba Park Hotel is built only a few steps above the white sands of Almadraba Beach at the eastern end of the beautiful Bay of Roses. The hotel is set within its own gardens on a promontory overlooking the sea, with magnificent views across the bay and out onto the Mediterranean. The hotel's excellent facilities include an outdoor swimming pool overlooking the sea and surrounded by sun loungers, and a separate whirlpool. The hotel has a bar with panoramic terrace and a restaurant serving a menu of traditional Mediterranean flavours and locally sourced produce including fantastic seafood caught in the waters off the coast of Roses. Our stay includes breakfast every morning, usually served on the terrace overlooking the bay, and dinner every night - including on your free days. Rooms are replete with air conditioning, heating, television, radio, safe, minibar, hairdryer and free wireless internet access. The hotel comes well recommended by Great Rail Journeys customers, in 2013 receiving the Gold Award for best overall hotel in Spain and Southern Europe. To book this offer, or for more information, just call us on 0800 849 1285, quoting reference number 232740.